Inspector Gereon Rath arrives in Berlin, to a city in turmoil. The underground fleshpots are catering to every bizarre whim or dark desire that a man or woman can envision. Booze is flowing through the tangled web of bars, in quantities large enough to fill the river Spree. The dancing in the nightclubs reflects the frantic and desperate nature of those trying to make a go of it in the German capital. The cabarets are soulful and sad and full of boys dressed as girls and girls dressed as boys. That is the nightlife, but the daylight brings more tumultuous chaos. The workers are dissatisfied with low pay and terrible working conditions. They are filling the streets with their protests, and the socialists are taking full advantage of their discontent. In the background, the Nazis are gaining power behind the fiery speeches of this scrawny corporal who is still fuming over his inability to make a go of it as an artist. Failure has bred contempt in him for those he believes are responsible for the downfall of Germany. ”On the wall hung a framed photograph of that Hitler, a strange bird with a Charlie Chaplin moustache.” Yes, in 1929, he is still perceived for whom he really is by most reasonably intelligent people. 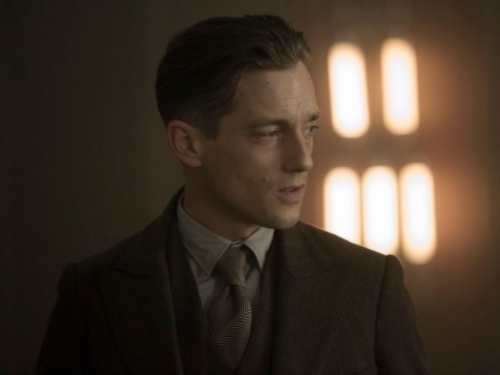 Gereon Rath has more than one moment when he wishes he could go back to Cologne, but he would only be stepping back into the fine mess he left there. He is assigned to vice in a city where the philosophy followed by most is anything goes. Hard to make headlines or influential friends by busting up the party. He catches a break of sorts when an unidentified, brutally tortured body of a dead Russian shows up in the middle of a case he is working. He is too ambitious to turn the case over to homicide. Little does he know that he is going to be thrust in the middle of a gangland style battle going on between two factions of Russians and their search for what is being called Sorokin’s gold. Not to mention he has to deal with a host of dirty cops, the Nazis, am organized crime boss called Dr. Marlow, and the Countess Svetlana Sorokina, AKA cabaret singer Lana Nikoros, who might be the most dangerous of the lot. Whether they are motivated by greed or a cause, they all want the gold. Rath is also introduced to a powdery substance that proves irresistible. Rath falls in love/lust with the beautiful police stenographer Charlotte Ritter. Just as quickly as he finds love, he mucks it up by using her to further his career. (He also breaks the cardinal rule that one should never, ever shag the landlady.) Rath is a mess on about all levels, saved only by the fact that he is a pretty good detective. To make it in the city of vice, he will have to go beyond just bending the rules; he will have to break them over his knee. A convoluted mystery, to say the least. 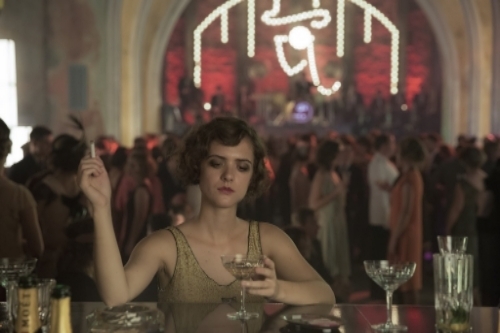 Keeping track of all the various, suspected entities that go way beyond what I’ve mentioned in this review had me wondering at times if I was reading a Russian novel, but I did enjoy the flavor of 1929 in one of the most vice ridden cities in the world at the time. Your pleasure is their pleasure to serve. For those who have been watching or want to watch the Netflix series, the character of Charlotte (Charly) Ritter, portrayed in the series by Liv Lisa Fries, is a far cry from the woman depicted in the books. She is much more pedestrian in the books, but in the Netflix series she is frankly frilling awesome. 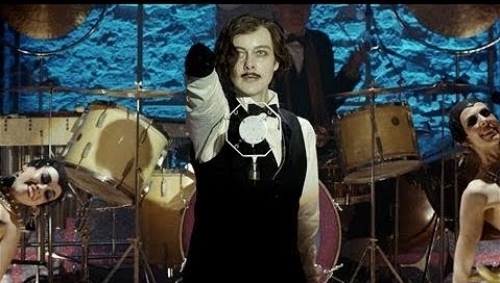 Svetlana Sorokina, portrayed by Severija Janusauskaite, has a much bigger role on the screen than she had in the book. She is so manipulative, calculating, and as cold as a Siberian storm. Basically, the writers of the TV series have taken the characters of the women from the book and expanded their roles. This takes the story from being a good story to being one of the more intriguing TV series I’ve seen in a long time. If I had not seen several episodes of the series before reading the book, I would have been happier with the book. Still, I’m on board to read more of the books and see how the characters develop as Volker Kutscher takes them through more sordid Berlin adventures.